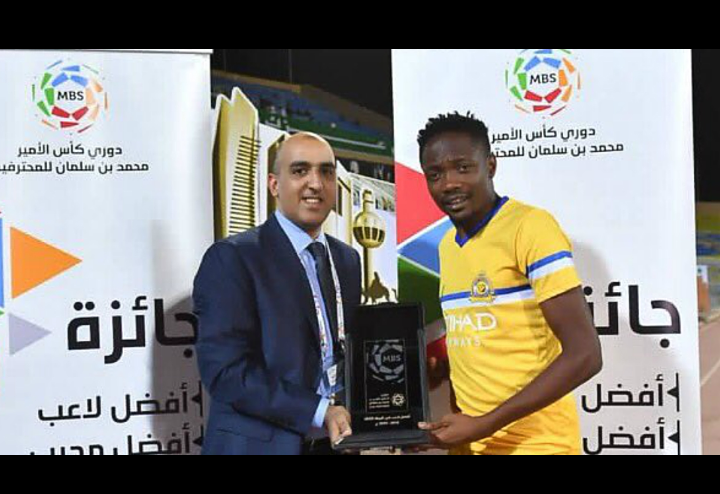 The Nigerian international was presented with the award after putting up a match winning display for Al-Nassr in their 3-0 win over Al Quadisiya to move them to second position in the league. Ahmed Musa scored all goals for his side to claim the victory in Prince Saud bin Jalawi stadium. The Nigerian international with the hattrick opened his account for the new side since his move from the English Premier league side, Leicester City in the summer. Jose Canneroon's men sit second on the log bettered only on goal difference by Al Hilal Riyadh. The Nigerian international continued his impressive form in Russia which attested the attention of the club. He was presented with the award and some cash price while thanking supporters for their love and support.